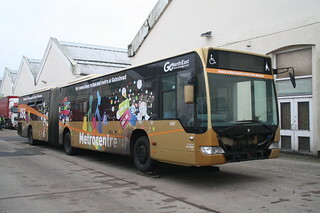 Following repaint into Brighton & Hove's corporate livery, with sub-branding for service 25, this vehicle has entered service at Brighton & Hove's Lewes Road Depot. 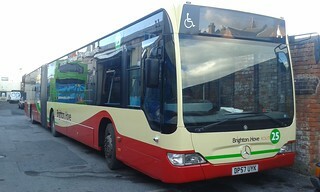 This vehicle has been sold to Brighton & Hove, where it now carries fleet number 127. 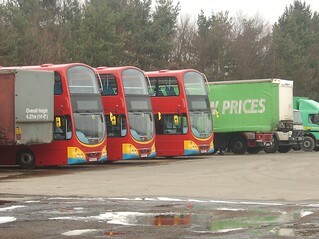 It will be repainted at Hants & Dorset Trim, prior to entering service at Brighton & Hove's Lewes Road Depot. Following service revisions leading to a number of transfers and cascades, this vehicle has been withdrawn from service at Riverside Depot. Until the arrival of brand new vehicles later in the year, service X66 will be operated by red Scania L94UB/Wright Solar vehicles. 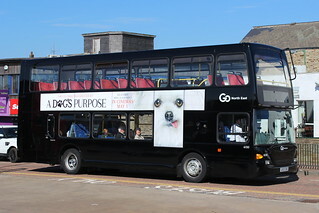 Previously with Go-Ahead London General as fleet number MAL118, this vehicle has been acquired by Go North East and allocated fleet number 5347.